Fall is here!!! Leaves are falling, the weather is cooler, the boots and jackets have started to come out.Ok it’s been here for a while now but I’ve been so obsessed with tv lately that I forgot all about the movies that are coming this fall that I want to see. 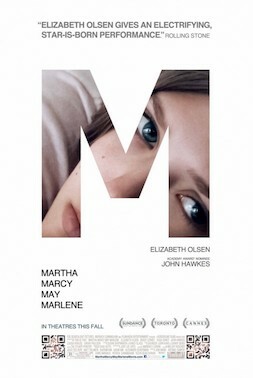 Elizabeth Olsen stars as Martha, a young lady that escapes from an abusive cult led by a charismatic leader Patrick (John Hawkes;Winter’s Bone, Contagion). After being missing for sometime, she returns home and tries to assimilate back into her family. She begins to have a difficult time when she becomes haunted by the memories of her time with the cult and becomes increasingly paranoid with the belief that the cult is watching her every move. This movie looks so good. From the trailer alone it looks like the cast is great, the story is intriguing and its going to definitely be an Oscar contender.